I.C.O.N., who pretty much destroyed the second stage at Wildfire a couple of weeks ago, have been added to the bill for Anvil’s London show this Sunday (July 12th). Labelmates Dendera are still main touring support and remain on the bill. So in other words, a great London show just got even better! 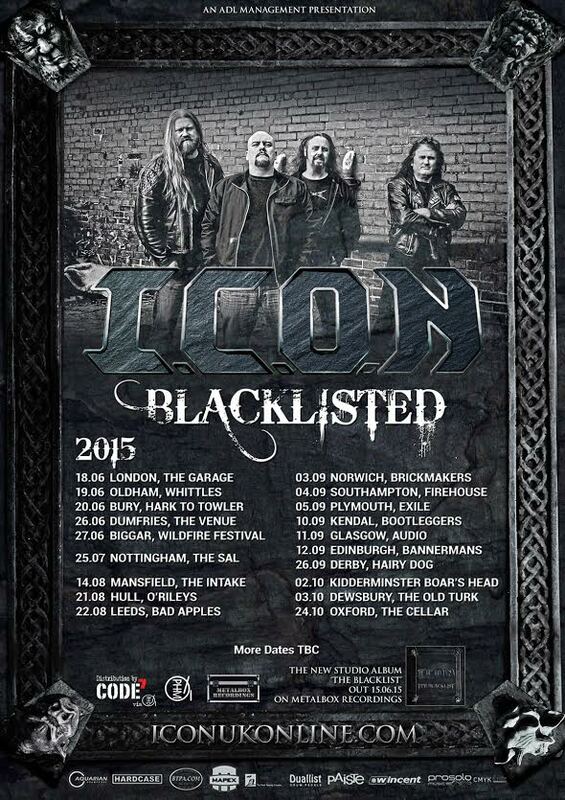 I.C.O.N’s new album The Blacklist was released on Metalbox Recordings on 15 June and continues to attract widespread support in the press. The band are currently promoting the new album with their video to the lead track “Welcome To My War” (watch it below), and Blacklisted tour dates all over the UK with more TBC.